We’ve heard about Anthropogenic (human-generated) Climate Change, and less frequently the threat of a nuclear war between rival super powers as the biggest threats facing humanity and life on this planet. There are however less talked about dangers which are just as pressing and demanding of attention. Seldom are these perils confronted in any serious way. The first of these, that will be explored in this week’s Global Research News Hour radio programme, is the threat posed by nuclear radiation from the nuclear industry. There are dozens of other nuclear plants in the US and around the world that could likewise melt down as infrastructure breaks down. 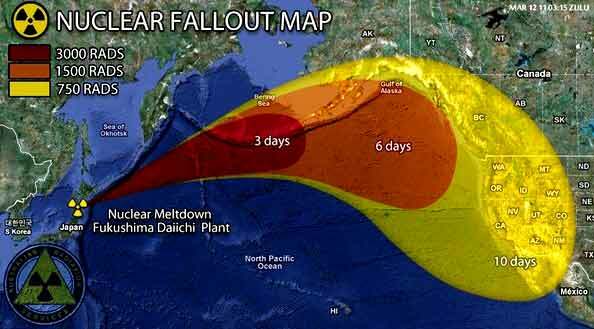 Nuclear radiation in the air, water, and food supply represent a clear and present threat to all life on this planet. Another critical concern is the amount of toxic material being deliberately being inserted into the atmosphere, apparently with the aim of affecting climate. Commonly referred to as ‘chemtrails,’ the release of reflective microscopic particles by aircraft in order to affect the amount of sunlight reaching the earth is having an impact not only on weather, but on human, plant and animal health. Yet, discussion of these artificial climate control mechanisms is virtually absent from all mainstream around climate change. 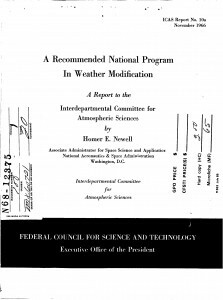 In fact, like counternarratives around the 9/11 attacks, ongoing geo-engineering programs through ‘chemtrailing’, solar radiation management, HAARP (High Frequency Active Auroral Research Program ) and other mechanisms is commonly referred to as a ‘conspiracy theory’ in public discourse. This week’s Global Research News Hour introduces these planetary perils with two outspoken, passionate and knowledgeable guests. Mimi German is a self-described Earth Activist, with the grassroots group No Nukes Northwest, and is founder of Radcast.org which monitors radiation readings world-wide. She speaks to the nuclear question in the first half hour. Dane Wigington has an extensive background in the field of solar energy, a licensed contractor and a former employee of Bechtel. The founder of the information site geoengineeringwatch.org, Wigington is convinced that geo-engineering is the number one threat facing humanity at present, and expands on his research in the second half hour.